It’s a saying of mine that I use at the end of each of my blog posts. I love saying it. It’s a bit of joy at the end of each post; my own version of Stan Lee’s ‘Nuff Said’, BUT not created to come up with ‘something to say’. It’s just something I like to toss in to send my readers on their way. And why am I bringing it up? Well not too long ago a friend of mine read my blog post and asked me…’What does ‘Travel Spritely’ mean?’ And I told her….it means ‘travel light’ on your way home or wherever you might be going. It means to travel with joy in your steps and a joy in your heart. Simple and sweet. But it’s something that came to me out of the ethers. It all started one day when I was saying good-bye friends and completely out of the blue AND with definite certainty I said…..’Travel Spritely’ and I didn’t even wonder where it originated from, but I knew with certainty what it meant. It’s something that I didn’t plan to use in my blog, but it naturally came out when I started typing and it seemed like the best thing ever and so I’ve been using it since the beginning of my blog. So in case you were wondering what it meant…now you know. Now for the breakdown: ‘Travel Spritely’ means exactly what I said above…..but I believe it is a phrase that is Divinely inspired and perhaps inspired directly by Sprites. What are Sprites? Well let’s take a look into a brief history of Sprites here (per Wikipedia which is not an end all source for the topic by any means) and have a little bit of look-see into just what exactly are Sprites. Sprites are often defined as elemental beings of the Faery realm. They are often considered to be fictional beings in today’s modern world where things are defined by science and people are more embedded in other things such as the computer and information age and all of its ‘trappings’….but when one takes a moment to look….they will find that the world of Sprites and definitely other Fae or Faery ‘beings’ are considered just one heartsbreath away from us if we are open. For me this world opens when I do my art. It is a basis of inspiration for me in my fashion designs and certainly a part of writings that I expect to publish one day. The world of Merlins, Mermaids, Elf Kings and Faery Queens await those of an open mind, eye and heart. Sprites when rendered in art are often seen a ‘diminitive’ beings perhaps no bigger than your hand. Below are some images of Sprites (more commonly interpretations of) from a wonderful Pinterest board managed by Diana Cullen. Most often people will think of Tinker Bell which this second picture might bring to mind, but what about older perhaps pre-Victorian concepts of Sprites? We might look to Shakespere’s Tempest where the Sprite Arial is seen more comparable to a human in stature. See a sample image from a play here. In Tempest, Arial is seen as an Elemental of Air and also as a Divine messenger between man and the supernatural world (meaning being able to affect the weather, move the elements, etc.). 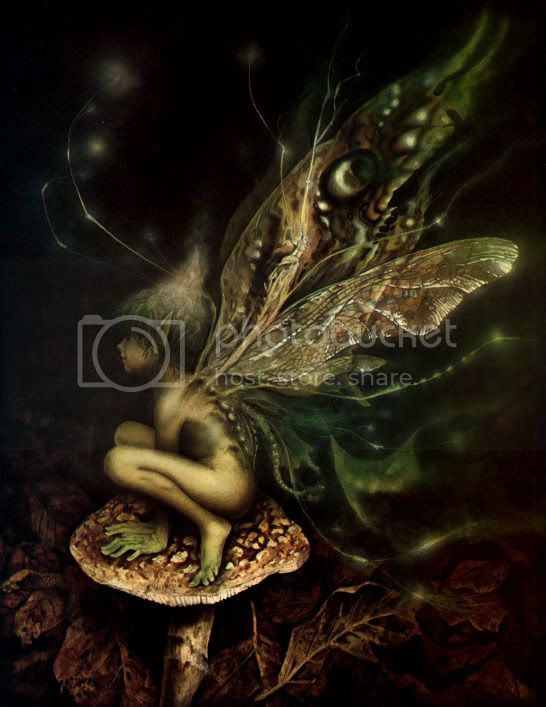 These concepts I think stem from older views of the Faery realm and its inhabitants. I must admit I find these earlier views a bit more interesting although modern concepts of Faeries and Sprites are also very relevant. I also believe there is truth to be found in these tales. Certainly it is a source of inspiration and I’m expecting this to show up in my photography and art more and more in the future. I can’t wait to see what ideas come out, but I’ll be sure to keep you posted. Below are some of my initial works capturing Sprites using my photography. Let me know what you think. Until next time….Travel Spritely!